The A.G.M. of the Donegal G.A.P. Heritage & History Group will be held on Saturday, 1st December at 3pm in the Ardara Parish Centre. The new Doon Fort and Spanish Armada display exhibitions will also be launched. Everyone welcome. Change of hours for your Community Banker’s drop-in service in St. Shanaghan House every Wednesday in November. Eve will be available from 2-5pm instead of her usual time 11-1pm to help with your bank services/queries/support with online banking etc. 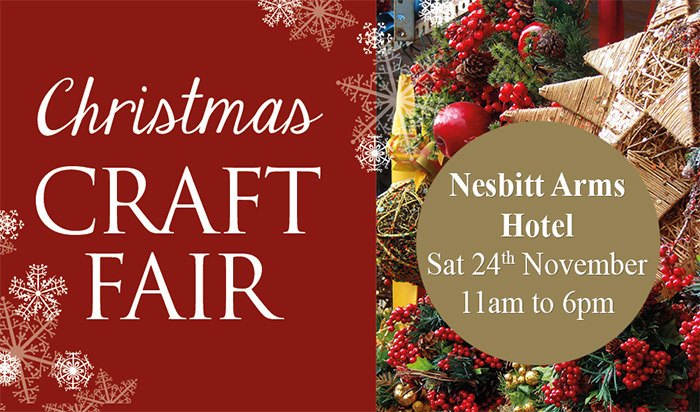 The Traders have organised a draw to fundraise for the Christmas lights and tickets are on sale in the shops. AMAZING PRIZES TO BE WON! On Sunday 9th December at 6pm we officially switch on the Christmas lights for 2018. The day begins with Santa arriving to the Children’s Party at the hotel, with the party beginning at 3pm. There will be a disco after Santa has met all the children. Afterwards all will join our special guest who will switch on the lights. A wonderful addition to the switch-on will be the Glenties Brass Band and a 25-piece accordion band from Letterkenny will lead us from early afternoon into the switch on. Mixed media art classes continue every Friday evening from 7 to 9 pm upstairs in the Heritage Centre. 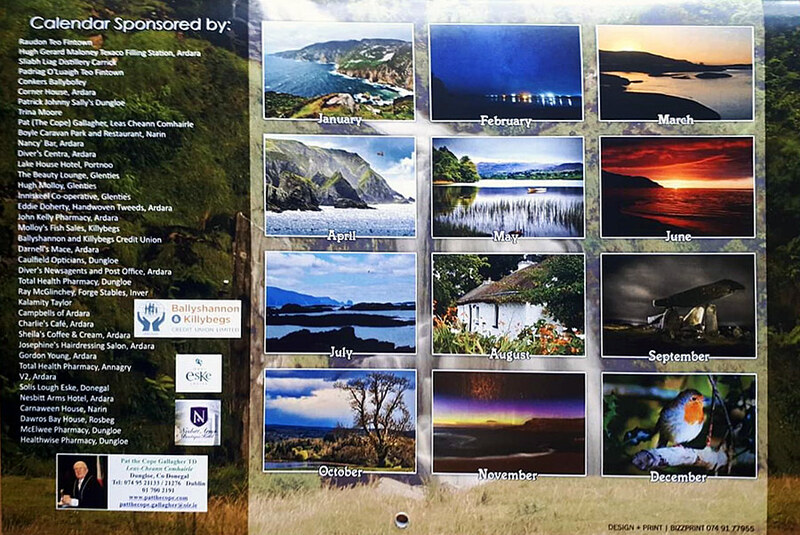 The Ardara Camera Club Charity Calendar Local Images in aid of Pieta House Letterkenny is now available for €9. All proceeds go to the charity. All 12 photographs can be easily removed and framed as keepsakes. Contact us on Facebook, tel 0860773359 or email ardaracameraclub@gmail.com. The sympathy of the community this week goes to the McHugh and McNelis families on the recent death of Mary McHugh, Laconnell whose funeral took place last Thursday at the Church of the Holy Family, Ardara. Also to the Gallagher family on the death recently of Leo Gallagher in England.